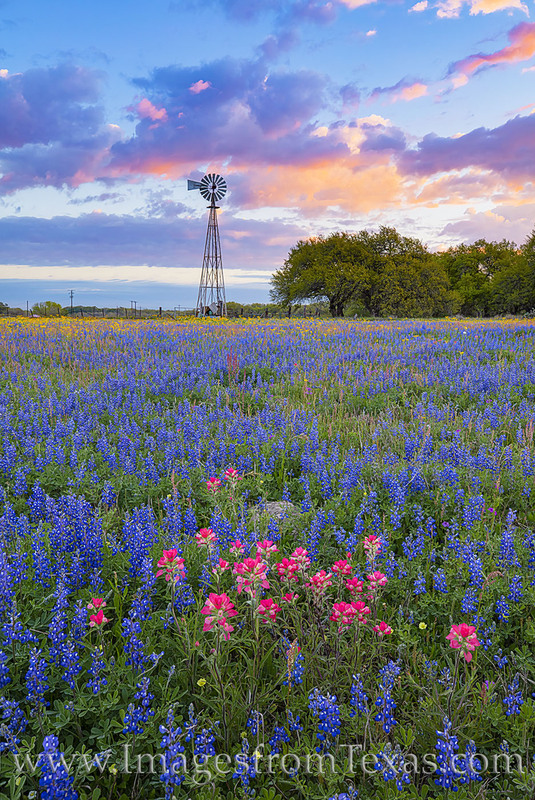 A windmill rises over a field of bluebonnets, groundsel, and Indian Paintbrush on a cold March morning south of San Antonio. Near the town of Poteet, colorful wildflowers covered the pastures and landscape, painting reds and blues and golds across this beautiful area. Photo © copyright by Rob Greebon.